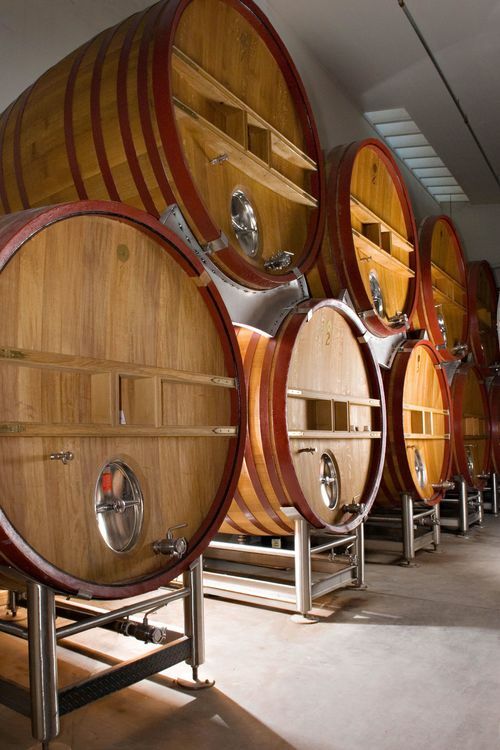 Neither one was put in small new oak barrels; both demi-muids and foudres are used precisely to avoid giving too much oak to the wine. They both had the same mix of 45% Grenache, 30% Syrah, 13% Mourvedre, 7% Cinsault and 5% Carignane. They're both 14.2% alcohol. The difference between them was so slight. And they were screwcapped, so there shouldn't be much bottle variation. How could they be very different? The wine from the larger vessel, the foudre, was much brighter and fresher. It had lively red fruit and was a great dinner wine with barbecued meat. Bonny Doon's Randall Grahm called it "funkier and more soulful" on a 2 1/2 year-old-email I dug out after tasting them (sorry Randall), but "funky" is not how I would describe it: friendly, perhaps, with the warm spirit of Grenache. This doesn't make me happy. These wines shouldn't be that different. Plus, I expected their differences to decline over time. In fact, that happened, just not quite as I expected. We drank the wines again the next day with pepperoni and onion pizza (Le Cigare Volant is a very friendly wine to takeout food; most good Rhone blends are. I wish this one didn't cost $45 now.) The differences between the wines had diminished to the point that they now tasted like slight bottle variations of the same wine. Mainly, this happened because the wine from the demi-muid was much better, fresher and with more red-fruit character. It was almost as good as the wine from the foudre, but it took 24 hours open for that to happen. But who plans on opening a wine 24 hours before they drink it? 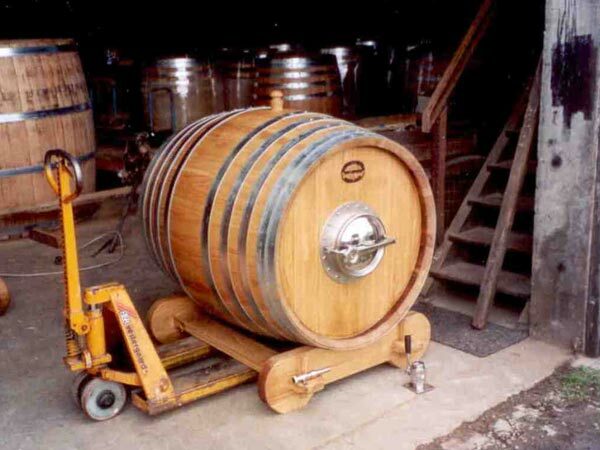 Now, I've got to look at a wine list and ask the sommelier, "Was this cellared in a demi-muid or a foudre?" Amazingly, these wines are still for sale at Bonny Doon's website for $54 each. You can find a lot of older vintages of Le Cigare Volant for surprisingly good prices -- i.e., less than the $45 current release price -- at Wine-Searcher. Not surprising in the least. I've been working with a number of cellars in Priorat to taste through their different aging regimens that they've been experimenting with to allow the true character of the grape to come through. Large foudre are always a winner, especially with the Carignan. If you can get your hands on a Grenache aged in raw concrete, do it. The oxidative nature of the grape works wonderfully well with concrete. Isn't your experience entirely expected? The larger vessel offering less contact between the wine and the wood. I would expect the effect of the wood to be reduced in that instance. Ok Ok, calm down. Did you decant first? I've been finding that with some wines, especially ones that should be aged a bit, do SO much better being decanted say, 30 to 45 minutes, prior to drinking. If, as you say, they were almost indistinguishable the next day then decanting might have done the trick on the first day. Decanting, a lost art!